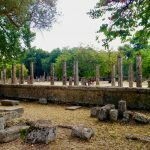 ∗ Discover everything about the ancient Olympic Games and the place where fair-play was nurtured with a private day trip to Olympia. Explore the actual history of the most spectacular sporting event of all times and walk through the facilities of this ancient sports center. ∗ The temple of Epikourios Apollon stands at a height of 1130 m on Mount Kotilio 14 km south of Andritsaina. At this site which was called Vassai (little valleys) in antiquity the inhabitants of nearby Figaleia founded a sanctuary of Apollo Bassitas in the 7th BC where they worshipped the god with the epithet Epikourios supporter in war or illness. 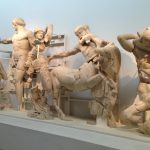 Visit the thrilling tour of Olympia. After driving through the majestic Peloponnese countryside in a high-class vehicle, you will get to the peaceful archaeological site of Olympia.Do not forget to run in the original Stadium where the actual Olympic Games took place. Visit the Apollonian temple that has been rotating over 2.500 years on it and around its axis, so that it is always facing the same astral point, Apollo’s place of birth.